Every year the Diocesan Directors and Coordinators of the Pontifical Mission Societies gather for a national meeting. This year, our Annual Meeting took place in Sugar Land, Texas, a suburb of Houston from April 15 to April 18. Since my flight took off from Boston at 1:15 on Monday afternoon, it wasn’t until four hours later when I landed that I became aware of the horrific events that had taken place at the finish line of the Boston Marathon. The response from everyone at the meeting was also overwhelming. Both Archbishop Protase Rugumbwa, the President of the Pontifical Mission Societies at the Holy See who spent the week with us, and Cardinal Daniel DiNardo, the Archbishop of Galveston-Houston, shared their condolences with us, as did many of those attending the meeting. In addition, we received numerous e-mail messages and texts from diocesan and national mission offices all over the world, expressing concern for the staff in the Boston office and their families. A few weeks ago in this column, Fr. 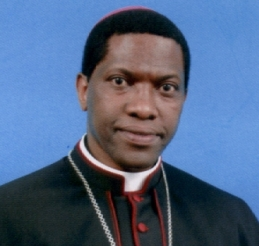 Copp wrote of one of our favorite “pen pals” here in the office – Archbishop Adrian Smith of Honiara. His letters are always full of great stories, detailing the lives and work of his people and how the Church is serving them. More than a third of the inhabitants of the city are facing serious health consequences due to lack of drinking water and health services. The families of Honiara must search for drinking water for cooking, drinking, and bathing every day. 92% of households do not have any water supply, forcing residents to collect their water from public fountains, wells, rivers or streams. In the slums there is no drinking water. These deficiencies have an impact on health, resulting in cases of dysentery, diarrhea and cholera. According to estimates by the United Nations Environment Program, 8% of all deaths of children under five years of age in the Solomon Islands are caused by these diseases. Some of the few places that the citizens of Honiara can come to for clean water are Catholic schools, health clinics and feeding stations. Serving all people, those programs are supported when the donors of Boston use our enrollment cards and folders. 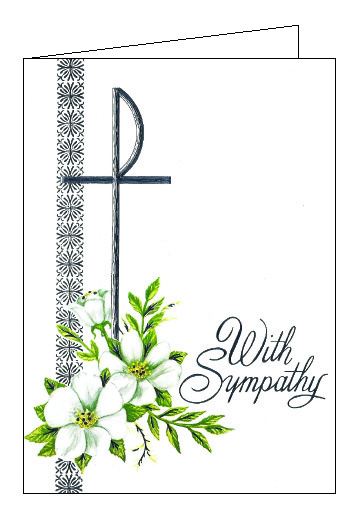 By offering $3 for a sympathy, birthday, get well, thank you, or other special occasion card, your loved one receives the spiritual benefit of a shared remembrance in 15,000 Masses in the missions for one year. They are also recalled at a daily Mass at the Vatican celebrated for all members of The Society for the Propagation of the Faith. 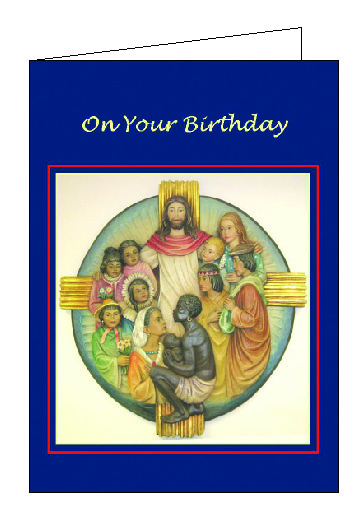 Our five and ten year memberships, for an offering of $5 and $10 respectively, are presented in a padded leatherette folder with a glossy holy picture of your choosing on one side and the certificate of enrollment on the other. Perpetual Enrollments are available for individuals for a $50 offering and families for $100. Besides the spiritual benefits to the enrollee, your use of our greeting cards and enrollments provide tangible benefits to millions around the world who struggle every day to live in dignity – some only looking for a simple glass of clean water for their children. For more information, please email info@propfaithboston.org, call 617-542-1776 or click here to go to the Enrollment page of our website. 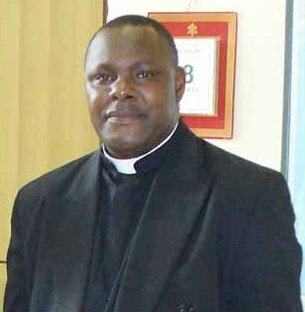 I received this week an e-mail from Father Bernard Makadani Zulu, the National Director of the Pontifical Mission Societies in Zambia. Father Bernard is no stranger to our office in Braintree, having preached in some of our parishes as part of the Missionary Cooperative Plan of the Archdiocese. His commitment and his enthusiasm is contagious and he brings the warmth and joy of the Gospel to everyone he meets. In his e-mail, Father Bernard expresses his gratitude, not only to me, but to all of you and so I wanted to share his message with you. On the occasion of this feast, Easter, I wish to thank you most sincerely for for being an all weather friend. Your availability and commitment has had a huge impact on the work we do at the mission office in Zambia. I also remember you and your collaborators in a special way in this Year of Faith, a year in which the entire Christian community and individual Christians are invited to rediscover, to renew and communicate the gift of faith through a journey of conversion during which we nourish ourselves with the word of God and Bread of Life. Our apostolic missionary service to support and promote the mission solidarity is also a call to renewal so as to respond to the missionary vocation of the Church. This is a privileged time to draw us into the heart of the Year of Faith, thus giving a universal uplift to its celebration. I wish you Happy Easter and God’s blessings. Let’s continue to pray for each other so that the feast of the Risen Lord will reawaken in each one of us the joy and desire to “go” out to meet the Christian Community taking Christ to all. Kindly convey our sincere thanks and Easter Greetings to our benefactors and your collaborators. From Father Bernard and from all of us at the Pontifical Mission Societies here in Boston, we wish the blessings of Easter to you and your families. To see more of the fruits of Father Bernard’s work, which he is able to do thanks in part to the support of our donors here in Boston, click here to go to our website's Missionary Childhood Association's page. Since we are not called to spread the Good News of Jesus only during one season of the year, it stands to reason that Mission Education must be an ongoing part of our children’s faith formation, whether they are attending a Catholic School or a parish Religious Education program. The programs of the Missionary Childhood Association help to achieve this goal. As part of the program, every school and parish is asked to appoint a Mission Moderator; s/he is an interested adult who will coordinate the mission programs year round. They receive the monthly emails of materials from our office with lesson plans for studying a missionary saint, classroom or homework activities for the students to learn more about the missions, and a life issue affecting the world’s children and how the Catholic Church is reaching out to help them. The Mission Moderator appoints a few students – Mission Representatives - to be his/her aides in the distribution of materials, hanging of posters, creating mission-themed bulletin boards and even reading mission prayers or leading prayer services for the whole student body when possible. At Our Lady’s Academy in Waltham, this system proved its worth once again. During my visit to the school in January, students heard about the Church’s work (and therefore their work, through MCA) in the South American country of Ecuador. Waltham’s children learned that many of the children of Quito, the capital city of Ecuador are homeless and work to feed themselves as shoeshine boys, sidewalk sweepers and errand girls. Though some live on the streets with their families, others are orphans depending on each other for any kind of “family” bond. Local missionaries visit these children at night bringing hot meals, some basic literacy instruction and most importantly, faith formation – the knowledge that God loves them. Along with their Mite Boxes, Our Lady’s students received from Mission Moderator Peg Juppe and her Mission Representatives instructions on what food product each grade level should bring in during Holy Week (along with their Mite Box full of sacrifices for MCA)to donate to their parish St. Vincent de Paul Food Pantry. This made the students missionaries in their home town and a world away! Their gym’s stage was full of pasta, sauce, peanut butter, jelly, ham, and boxes of macaroni and cheese; in front of the stage was a large clear jug waiting for each homeroom to send a student forward with their mission sacrifices. The students’ cheers grew louder with each contribution until they reached their goal: a full jar sacrificed for the children of the missions! To see a video of the students’ missionary success, click here.